In this modern age, every employee is in quest of relevant and up-to-date information. There is a growing need to connect to various apps and systems they access every day. This way they want to collaborate with co-workers and experts in the field working to grab the similar information. Moreover, all employees want to go mobile and connect to information irrespective of place and time. The problem with our business is employees are unable to connect with various systems, and this has left them low on productivity and disarrayed. The difficulty lies in finding appropriate information at an appropriate time and employees are constantly wasting time searching for the right information. Statistics reveal that 80% of employees are disengaged, and this leads to loss of productivity. The need for collaboration is felt by managers, leaders, and employees. 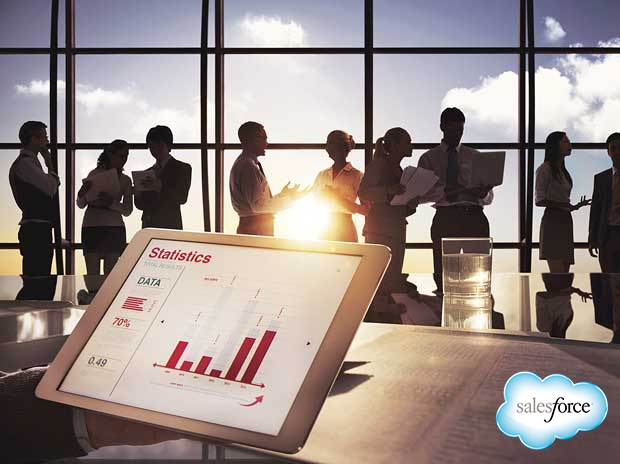 Salesforce Online training can improve employee experience by offering a single platform to connect employees with content, apps and people. The present system is not equipped to handle this collaboration. Large companies are still on-the-premises collaboration mechanism where the process, files, and data are separated from conversion. Business looking out to provide transparent and logical connect among their employees, as a result, collaborate platforms that include communities and ecosystems. Employee engagement and business innovation go hand in hand. It is the significant attribute for those businesses wanting to adapt to change in this era where the customer is king. Only engaged employees will be able to understand the need for change and appreciate it help the business to stay ahead of competitors meeting the market demands and understand customer expectations. Whether the employees feel engaged or not is the essence of making your business ready for competition. The automating recruitment process is the best way to start employee engagement. Candidates can now submit their application online, facilitating easy tracking and managing hiring status, documents and integrating with management tools facilitating recruiters to easily evaluate candidates for the job. The on boarding process has to be streamlined after the candidate is hired. The new recruited have to be equipped with training content and guidance from subject matter experts. All their queries have to be answered before getting absorbed into the work environment. For best training results, the learning management system has to be integrated into a single destination providing certified contents. With the answers available readily, new recruits can spend their time efficiently on reaching targets than looking for answers. Employees prefer individualized interactions. These employees lack real time exposure. Employees have to be treated like customer. Employees have to be updated on articles and latest FAQs. A centralized system has to be created to update and access documents. A ticket management system can be created to add, track and manage service tickets. Employees need to be connected to the right resources to complete their task and enhance productivity. Conference and emails can be reduced by improving collaboration pertaining to business process, third party systems, and data files. Employees have to be updated on the latest development in the company. News page and announcement boards are the right way to educate the employee on the happenings. Employee blog can be the best solution for long articles and projects. Using Google Drive, SharePoint, Dropbox are some of the ways to access files and records even when you are mobile or at a different location. Employees have to be updated on version changes to enable file sync. Loading the latest version across devices for quick sync is important. Now employees can take business actions across the community. The business apps should have a single sigh on to avoid chaos and improve productivity. This should also include third party apps. The employees should be given a platform to share their achievements, identify peers and influencers. They should be given badges for recognition. Creating blog posts, profiles, sharing information and offering endorsements can be done easily. Certifications and rewards can also be shared to project their expertise. The employee engagement can be increased within the community by promoting scores and ranks. Facilitate employees to access processes, systems, apps outside the work environment by making it mobile-first environment. Now your employees can do the work irrespective of location. Employee listing is a tool for surveys, social media interaction and employee feedbacks of employee engagement. Millennials are working towards attaining leadership skills. Statistics has it that only 7% of businesses have leadership programs. Data is being leveraged from social networking platforms and other external sources to forecast the workforce trends.